Please note that the information below is provisional and subject to revision as this company’s history is researched further. 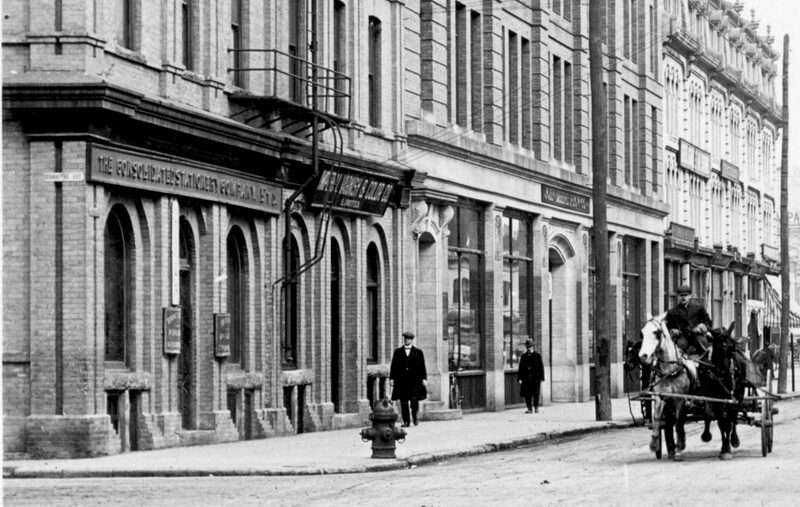 Winnipeg-based Consolidated Stationery Co., Ltd., was incorporated on April 15, 1895 through the amalgamation of two rival wholesale paper and stationery dealers: O’Laughlin Bros. & Co. and Parsons, Bell & Co. 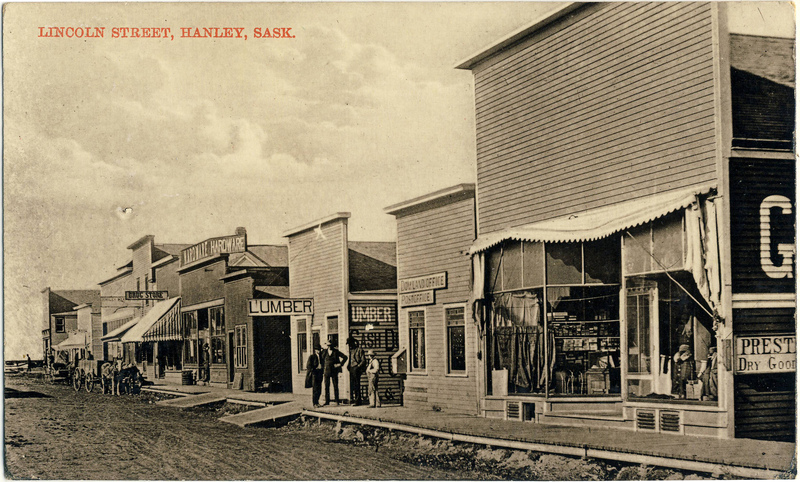 The C. S. Co., as it was usually known on its cards, was one of the most prolific distributors of postcards in the three Prairie provinces between the years 1906 and 1912. While most of its cards were sourced from Germany, the company did have a printing division and it appears that a small number of postcards may have been produced in-house. The C. S. Co. appears to have ceased operations in 1925, a number of years after it got out of the postcard business. A listing of the Consolidated Stationery postcards — by no means complete but still very substantial — was prepared by Ron Souch in 2006, based on the collection of Dr. Richard Moulton. 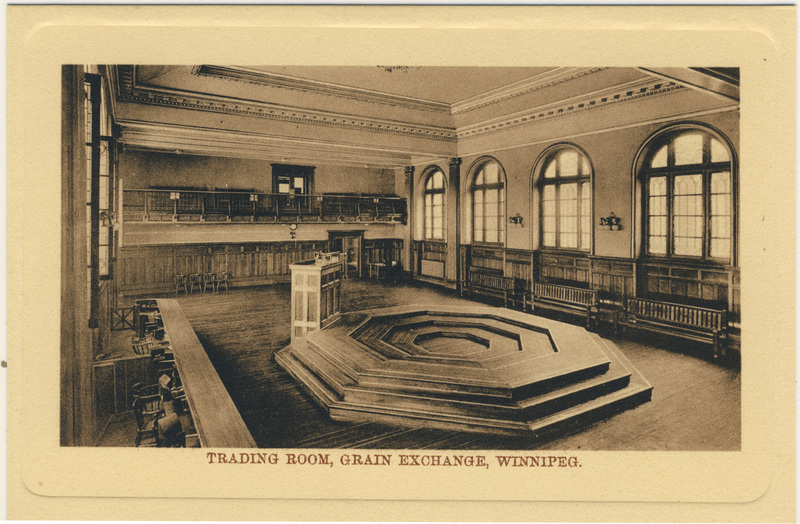 Trading Room, Grain Exchange, Winnipeg. C.S. Co. card no. 506 is an example of the die-sunk collotypes that were favoured by this publisher. 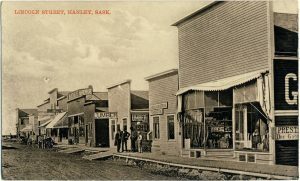 Lincoln Street, Hanley, Sask. C.S. Co. card no. 403 was published for G. F. Daintry, Chemist & Druggist, Hanley. Posted in 1911. Error: Error validating access token: Session has expired on Friday, 12-Apr-19 20:21:58 PDT. The current time is Friday, 19-Apr-19 21:40:23 PDT.